Valentine’s Day is here, and Americans are shelling out stacks of cash to celebrate love. In fact, average spending on the holiday this year is expected to hit $136.57, according to the National Retail Federation. From spending on flowers, jewelry and greeting cards, celebrating Valentine’s Day can get costly. See how much Americans are spending, and how you can save on Valentine’s Day gifts this year. Americans are expected to spend $2 billion on flowers this Valentine’s Day. But if your sweetheart is looking forward to receiving flowers at work or home, don’t immediately buy a dozen red roses. Sure, the red rose is iconic, but you can save by buying an equally beautiful bouquet of different flowers. 1-800-Flowers.com is selling a dozen red roses for $44.99, but seven stems of red, pink and white lilies with a vase for $29.99. If flowers aren’t on the wish list, you can’t go wrong with something sweet. Fifty percent of consumers are expected to buy candy this year, for friends or family. That amounts to $1.7 billion of spending on sweets. Americans are crazy for candy hearts too, and they’re an affordable gift idea. You can buy a 1 pound box of Sweethearts for just $10 on Amazon. That’s the perfect amount if your kids need to pass out candy, or if you want to fill up your candy bowl at work with something festive. Jewelry isn’t just a Valentine’s Day gift for the rich. Nearly 1 in 5 Americans are planning to buy jewelry for their loved ones, with spending totaling $4.3 billion this year — the highest amount of any category. If you’re looking to splurge this year, Jared is a popular retailer offering 20 percent off its Ever Us collection. Clothes are another popular gift for V-Day. Spending on clothes this year will hit an estimated $1.9 billion. So, if your loved one has been itching for a new pair of shoes or a bag, now’s the time to go shopping. Check Nordstrom’s collection for designer looks. Nearly 4 out of 10 people celebrating Valentine’s Day will treat their date to a night out. For fine dining, call ahead for reservations and find restaurants with V-Day deals. You can also opt to celebrate the holiday the day before or after, or buy a Groupon for discounted food. Surprise your sweetheart with tickets to a concert, comedy show or game. This gift option can cost as much as a few dollars for improv shows to hundreds for major sporting events. Ticketmaster is a popular hub for tickets, but you can also check Groupon. A greeting card is a simple but thoughtful gift for anyone in your life. Nearly $1 billion will be spent on this V-Day present, but you don’t need to spend a lot for your gift to be meaningful. A homemade greeting card — or even a note written on the back of a photo — can be enough for friends and family. For a last-minute gift idea, send a Hallmark eCard. Looking for a gift for someone who has everything? Grab a gift card. Lovebirds celebrating Valentine’s Day this year are expected to drop $1.4 billion on gift cards. Snap up a card to Bloomingdale’s for the fashionista, or a gift certificate to Backcountry for the next adventure your adrenaline junkie takes. You might cringe at the idea, but a gym membership is a popular Valentine’s Day gift. It supports your partner-in-crime as he tackles his New Year’s resolution. A membership can give him access to fitness classes to vary up his routine, too. Check out memberships to 24 Hour Fitness, or search for boot camp and other local classes on LivingSocial. Americans are increasing spending on travel this year, according to a survey from Choice Hotels International. Take a long weekend after Valentine’s to go backpacking in Zion National Park or drive down to the beach and rent bikes. You can even go skydiving on a discount with a Groupon. 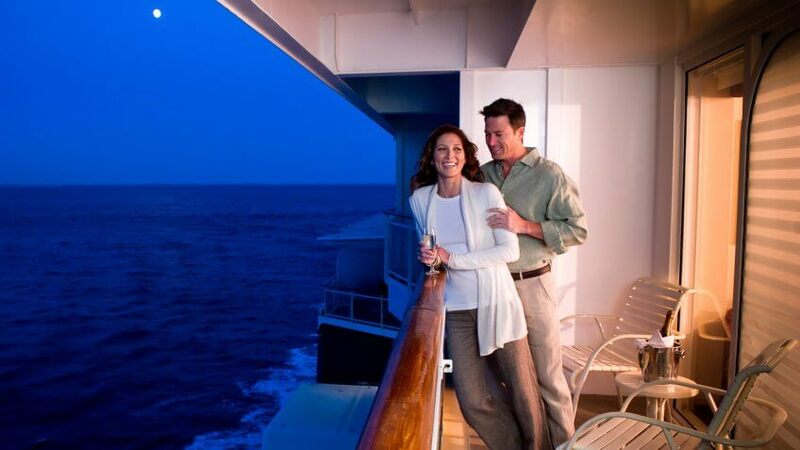 Ditch the chocolates and roses and take a romantic weekend getaway. Forty percent of consumers want an experience gift this year, and time alone in the mountains, by the beach or even at a casino can make lasting memories. Check Orbitz for last-minute vacation deals. Rachel Hoffman contributed to the reporting for this article. These April Fools Day pranks are fun, easy and free. Learn how much the average wedding costs so you can budget accordingly.